As a public health response to disaster specialist, I can easily see clear early warning signs for famine. Famine is not coming as a surprise. Rather, it is a type of slow onset disaster. Early warnings of an impending human catastrophe have been accumulated in Ethiopia over last year and continue throughout this year. After denying the problems for months, the ruling junta reached out to the international community for emergency assistance. Right now the situation is out of control and there are 15 million people in need of emergency assistance in Ethiopia, more than during the 1984 famine. Reports show that almost 1 million children are in need of severe acute malnutrition treatment. Now it is a matter of life or death for children and their families but the regime is trying hard to downplay the situation as food shortage. Most of Eastern and central Amara, northern part of North Gondar, Metema area, all parts of Afar and Somali, South Omo of SNNPR and parts of Oromia, central Wollo, some parts of Gambella, most of Shewa, parts of east and west Hararghe, parts of Arsi and Bale, Sidama, Gedio and central Borana are affected by the current famine. Authoritarian regime could afford to hide famine as it was the case in previous famines and they have little incentive and accountability to avert famine. Despite its democratic rhetoric, the current ethnic minority Tigrayans dominated regime (TPLF/EPRDF) is unwilling to share power or to accept criticism as normal. After 2005, its objective has been simply to stay in power. This is the regime which is using food aid for military and political purposes. Human Right Watch report, entitled “Development without Freedom How Aid Underwrites Repression in Ethiopia” documented that the ruling Tigray People Liberation Front (TPLF) has used donor supported humanitarian emergency programs as political weapons to control the population, punish dissent, and undermine political opponents. Dr Aregawi Berhe and Mr. Gebremedhen Araya, who were senior TPLF commanders, witnessed that the current ruling party (TPLF/EPRDF) was used Millions of dollar of Western aid money to buy weapons which were intended to buy food for starving Ethiopians during the country’s 1984 famine. Recently declassified documents from the CIA by WikiLeaks support these claims. “Some funds that insurgent organisations are raising for relief operations, as a result of increased world publicity, are almost certainly being diverted for military purposes,” the Agency wrote in a secret 1985 report. The world shouldn’t wait for famine declaration to intervene aggressively. 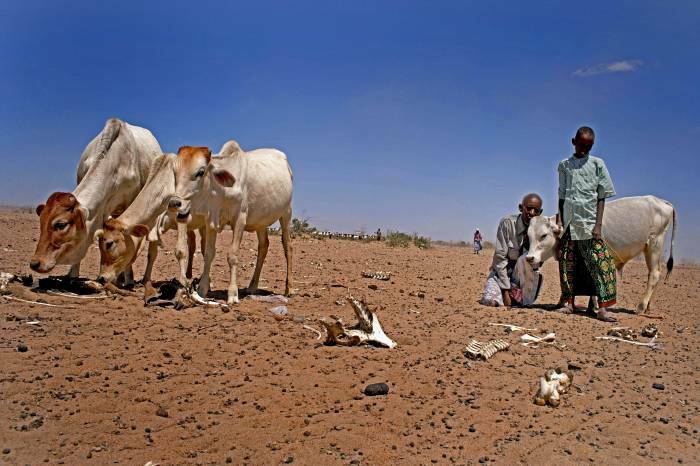 The 2011 UN declaration of famine in Somalia was too little too late. By the time UN declares famine, almost 150, 000 people were already dead. We shouldn’t relay on tyranny regime in order to prevent massive catastrophe of human loss. So aid agencies, donors and the media should consider the current emergency crisis in Ethiopia as a famine. We shouldn’t afford another loss of millions of human lives in the 21th century.